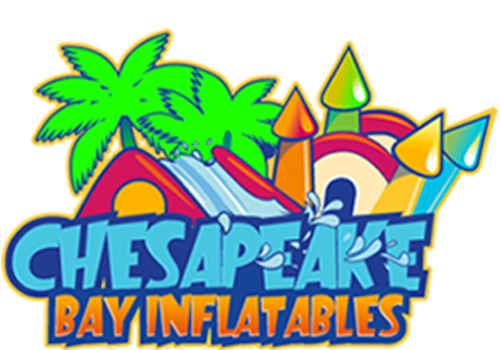 Chesapeake Bay Inflatables has a great selection of party & event rentals in Chesapeake City! If you are hosting an event and haven’t decided what your entertainment will be, let us help! Our party professionals offer full-service party rentals. This means we deliver your event rental right to your event, get them properly set up, then pick them up when the party is over. We have bounce houses, combo bouncers, inflatable game rentals, concessions, and more. Our inflatable game rentals are tons of fun! 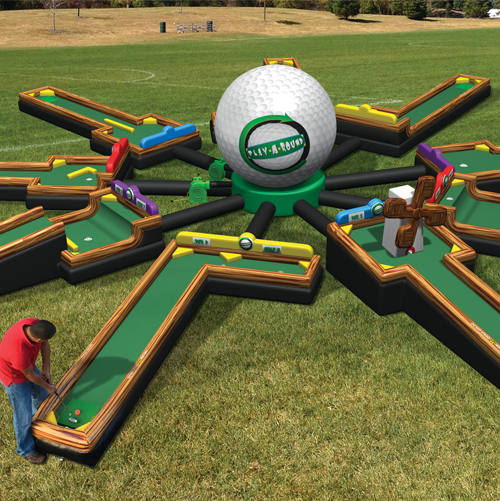 We have a great set up of inflatable golf games that kids go crazy for. You can choose between a 3-hole course or a 9-hole course depending on your party size. We even have Mechanical Rides! Take your pick from our one of a kind rides, we have a Bull & a Shark to choose from. Our Mechanical Ride Rentals are perfect for large events! Every time we set up the Mechanical Shark or the Mechanical Bull Rental a line starts to form. This Event Rental comes with one of our specially trained controllers that will keep the fun going and ensure that everyone has a safe ride. When the rider is bucked off the Mechanical Ride they will safely land on the inflatable crash pad. This even rental in Chesapeake City can be set up indoors and outdoors, but it will need a power source. If you are in need of a Generator Rental, we have those too. Chesapeake Bay Inflatables serves Cecil County, New Castle Delaware and lower PA area. We delivery to other areas but a delivery fee may apply. Contact Us to get started on your party rentals today.